Growing up in Christian youth group and then attending Bible college, I heard much instruction and emphasis on daily devotions. But it has probably been a good twenty years since I’ve sat under teaching on the value of devotions or how to do them. Even the term devotions sounds hokey to me now, a throw back to the naïve enthusiasm of youth ministers and the teenagers they led. I read my Bible and pray regularly, but I don’t think of it as devotions, at least not the way it was used in my youth. Our church is in the middle of a four week adult study during our Christian Formation hour (formerly known as Sunday School), and the topic of devotions has come up. But it’s the grownup, reformed, educated version. And it has powerfully affected me for good. We call it Lectio Divina or Listening Prayer. In one sense, it is basically the type of devotional time emphasized in my youth group, time reading the Bible and praying to God. 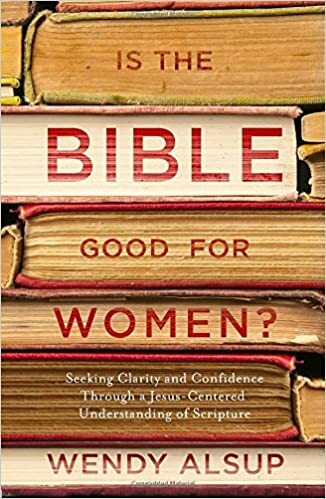 However, I recognize now that much of my previous understanding of devotionals, particularly in my youth, centered on reading someone else’s words on the Bible rather than reading the Bible itself. And maybe that’s the central difference in Listening Prayer and a more mainstream view of devotions and devotionals. The second difference in Lectio Divina and my youthful understanding of devotions is the listening part. It’s not so much studying the Bible as it is hearing from the Bible. When practicing youth group type devotions, I read the Bible for ten minutes (or someone else’s devotional about the Bible) and prayed my prayer requests for the next twenty or so. Lectio Divina entertwines prayer, reading the Bible, and listening for God to speak to us through it. It is the listening part that I am not used to. I am used to reading the Bible to hear God speak to me and praying my requests to Him. But I am not used to stopping as I read and pray to listen for the still small voice of the Spirit speaking to me through it all. Oh, what I have been missing. In these first weeks of practicing listening prayer for myself, a practice used throughout the history of the Church, the Spirit has been speaking to me clearly through the Word. He’s emphasizing parts of His Word to me, drawing my eyes to truths He knows I need. It makes me think of the sweetness of the word devotion in its purest sense. For too long that word was used as a plural noun in reference to my Christian walk with God. Devotions were something I did. But adding the s messed up the word for believers, in my opinion. I don’t need devotions, but I do need devotion. If you google devotion, you will see it defined as love, loyalty, or enthusiasm for a person, activity, or cause. I am loyal to God, but more importantly, He is loyal to, committed to, and loving of me. It’s devotion, not devotions — a covenant keeping relationship with another, not a thing I do to fulfill a religious obligation. Slowing down in my Bible reading and prayer has made me better understand my devotion to God and His to me. It has helped me settle into a communicative relationship with God where He reveals Himself (and myself) to me. If you are interested in experiencing deeper interactions with God through His Word, Lectio Divina, or listening in prayer and contemplating God’s Word to you in a way practiced throughout the history of the Church, can be a help. Here are suggested methods adapted from the book God Still Comes by Charles Shields and Cinthia Ferrell. 1. Begin with prayer; invite God to speak to you in whatever way God knows you need. “Open the eyes of my heart,” the psalmist prayed. 2. Read a passage (choose one not over a dozen verses) slowly and thoughtfully twice— once for familiarization and once just to “listen.” During the second reading, watch out for the word or phrase that reaches out to you, that grabs you, that shimmers in your mind’s eye. Hold on to the word in your memory. Don’t analyze why you happened to choose it. Merely observe the word or phrase. 3. After the 2nd reading, be still and listen for at least 2 minutes. If your mind wanders, draw it back to scripture. 4. Following your time of silent listening, write in your journal the word or phrase that grabbed you. At this point, no other comment is necessary. 5. Read the passage slowly again. Watch for your word or phrase. (On occasion, your word/phrase may change. If a different word or phrase grabs you, listen to it. Let the Spirit of God lead you in the process.) Sit silently again for a minimum of two minutes. As you ponder your word or phrase, observe what emotion it creates in you. Observe how the word/phrase connects into your life. How does it hook you? At the end of your time of quiet, write in your journal just two things: your word phrase and the emotion it created in you. 6. Read your passage a final time slowly and thoughtfully. Return to your word or phrase, unless you are drawn in a different direction. (Remember, you are not alone in this process. You have invited God to work with you.) Sit silently for a longer period of time—at least double the previous periods of silence. As you reflect on your word/phrase and feel the emotions it generates, ask yourself, “If this is God’s word to me now, what is God calling me to be or do?” Stick with that question until you get some response. At the end of your time of silence, write in your journal all that you have observed and experienced. 7. Conclude by thanking God for whatever you received. There may be instances when nothing insightful comes to mind. Thank God for the quiet time. Our Christian Formation teacher encouraged us that though this time might likely come with conviction of sin, it would not come with a voice of condemnation. If we are in Christ and hear condemnation or shame, that is not the voice of God (Romans 8:1). If you have struggled to feel close to God through Bible reading and prayer, I encourage you to engage with God through the Word this way. I am currently setting aside time on the mornings I don’t have early obligations (two days a week for me) to sit in the Word this way, and it has blessed me greatly during a hard season in my life. * Not long after posting this, some pointed out to me criticism of Lectio Divina. I understand the concerns of opening Scripture up to “private interpretations,” and listening Bible reading does not replace the need for expositional preaching and teaching. But I separate criticism of contemplative prayer from criticism of listening Bible reading. Contemplative prayer apart from Scripture is of course wide open to error. But meditative, listening prayer within the confines of Scripture reading seems very different, and I strongly support listening to God through His Word. Could you give some examples of how Listening Prayer has been practiced throughout the history of the church? My concern with this is that it seems very subjective. It depends so much on one's personal emotions, but the bible tells us that the heart is deceitful and desperately wicked. I'd rather trust the Word itself than the emotions and ideas that pop into my head when I read it. How would a person use this method to study a passage like 1 Chronicles 1, which is a genealogy? I don't feel many emotions about the words and phrases in that passage. Well, I would start with asking God to open the eyes of your heart to His purposes for that chapter in Scripture. Then go for it. I can't substitute my words for how He might work in your heart. While I always want to applaud and encourage people's decision to get more out of their private times with God, I have to agree with the other commenters here. I have a few concerns. 1. I believe Scripture to be the final and ultimate authority. I see a lot in the Bible that tells us how to pray, but nothing in the Bible that tells us to pray in the way you're describing. 2. You talked about listening for the still small voice of the Spirit. When you hear from God, I'm assuming you don't actually hear a voice, right? But when Elijah heard the still small voice of God in 1Ki 19, it was an actual voice. This passage has been frequently misused in the way that I believe you are misusing it here. 3. How do you know that it's God talking to you? He's not the only one who can. How do you know it was God and not some other spirit? This practice is very subjective and open to misleading, in my opinion. 4. You end your post by quoting Heb 4:12, but it's not clear why. My suspicion is that you're saying that since the Bible is alive and active, it can mean different things to different people. But I think that's a misuse of that passage. A foundational study principle is, “It can never mean what it never meant.” The only thing a passage can mean is what the original author meant when he wrote it. I don't know for sure that you meant it in the way I suspect, so I won't go any further with that point. Thank you for your blog, but I think you've entered into a dangerous area with Lectio Divina. I really appreciated this post and am reminded to take the time to quiet my thoughts and let God's word occupy my mind. As you said… Sometimes we need to take away other people and books from serving as intermediaries and make space for God to speak to us in and through his word. Thank you! I have been looking for a clear explanation of lectio divina without all the oogabooga. This was very helpful. Thank you! I've been reading your blog for years and have benefited from it, but I am surprised and saddened to see you going this route and teaching others to. Reading a passage and focusing on one word that stands out to you is hardly the way to discern its meaning. God speaks to us through His Word – He doesn't say to focus on one word and then He'll tell us the rest. You don't see examples of this anywhere in Scripture. Thanks for commenting, Barbara. I love much of Tim Challies thoughts and consider him a blog friend, but we disagree on this issue. He conflates expositional study for preaching with prayer and Bible reading for personal relationship with God. But we need both! The Bible is living and active, and the Spirit applies it to our hearts individually, a truth we know through the type of expositional study of other passages he advocates for. An objective study of Scripture points us to private, personal experiences with God, albeit ones that submit to the objective truths of Scripture. I'm going to write a follow up article today or tomorrow to look more at the Bible principles that hedge in this idea in a way obedient to Scripture. Wendy, thank you for clarifying more within the comments. I just read Challies post (who I also follow) and then reread your post. I do think that Challies may be putting too much emphasis on ex positional study. We are to love God with our entire being (heart, soul, mind, and strength) not just our minds. While I tend to be more academic and gravitate towards an ex positional study of the Word, I can see the flaws in neglecting the other aspects of my being. I think the key clarification that you made is that you meditate and reflect in light of God's Word. You judge what you are hearing against the truth of Scripture. This is true of any time that we are called to be discerning. God clearly speaks to us through His Word. Taking time to pray, reflect, and listen to God through His Word is Biblical. I think we need to guard ourselves and make sure that we are sure that what we “hear” is in line with Scripture and does not replace or contradict biblical truths. I look forward to the follow up article. Thank you for allowing your readers into your own personal journey and for being willing to examine criticism in a loving and humble way. Thanks for the encouragement, Amanda. I plan to post more on this today or tomorrow. It seems to me this is pretty much how I've always read Scripture. My initial reaction to the opening of this article was faint surprise that this wasn't part of devotionals for you… but, I came to Christ as an adult. I was, perhaps, left more to myself to figure out what devotional time would be like for me. I'm not sure what the oogabooga version of this looks like, but to me the contents of this post describe a typical introvert's thought process when left to herself–something that's not usually expressed in our extroversion-oriented society. Left to myself, I often interweave reading with asking God for clarity; and I often sit back and simply let things quiet down on the inside. It's natural to how I recharge my batteries. It's very interesting to me to Google lectio divina. Part of what I turn up involves the usual American evangelical divorce from Old World history and consequent insistence on interpreting it through a 20th/21st century American lens. Part of it seems to be a more general cultural reflex against quietness. This is excellent. Eugene Peterson's long ministry has been characterized by the same emphasis on the link between Scripture and prayer. In fact in A Long Obedience in the Same Direction, he ponders the notion that it is more accurate, really, to call it by one word: “prayerscripture” or “scriptureprayer.” I have found that during the times in my life when I have not trusted my own words in prayer for a loved one, that Scripture has been my “script” for holding that loved one before the LORD. I read your posts out of order, so I know that you got some negative feed back on this article, and I'm sorry for that because when we limit our prayer time to the sound of our own voice (and I don't mean that in any mystical sense because I hear God's voice through His written word), we miss out on the ministry of the Holy Spirit, speaking to our hearts with wisdom and comfort. Thank you for your ministry. I love everything about this post. I'm not Reformed (used to be), but I found many Reformed Christians to be hugely caught up in terms and labelling of everything. I couldn't stomach that as it made me incredibly fearful of God and I spent more time wondering if I was serving Him “rightly” instead of just accepting and receiving all He achieved for me on that cross at Calvary. What I gathered from the post was that this practice was intended to aid people who may need more structure in their private prayer and study of the Bible time to glean ideas about moving beyond “head” interactions with Scripture and embracing “heart” interactions with the Scripture. I've found that applying some of the motives behind Wendy's post without necessarily labelling it something that would immediately divert my attention to those 'mystical 3rd Century Roman Catholic monks' and just reminding myself that the Holy Spirit is a part of the Trinity, He is a teacher and I don't need to be so legalistic that I hinder Him from speaking when He may want to, brings me into deeper fellowship and intimacy with God the Father and Jesus, the Son; which to me is what it is all about whether we call it some fancy-pants Latin name or start pointing fingers at those 'weird' Christian Gnostics. Thanks for the post, Wendy. I didn't realise that I already do this each morning, more-or-less, nor was I aware that it is such a structured and controversial practice. I won't stop. I love intimacy with the Holy Spirit. And I wasn't too busy adopting a knee-jerk, legalistic and religious response to a fellow sister's habit of drawing closer to God, to see your heart on the matter even if Theologically, others may disagree. It's hard to know what a prayerful attitude of listening is, because we're taught that prayer is us talking. For me it's often a wrestle against the sin nature's intrusion upon my understanding of Scripture: telling the competing viewpoints in my mind to chill out, and paying attention to the Scripture in itself, without all the layers of interpretation and misinterpretation I've heard over time. I think if you follow through the steps as described, what God says comes in the form of Scripture, and the Holy Spirit leads us to consider a particular detail of it. Our silence is in order to let the Scripture itself shine through. Erica M answers better than I could. I'm new to this particular process myself. I keep referring to Step 3 — if your mind wanders, bring it back to Scripture.